Monday Musing... my knitting queue! 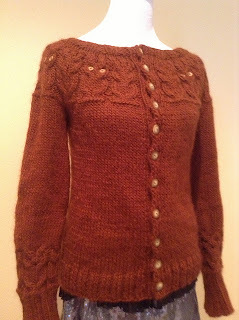 I've been really interested in knitting this year, ever since I made my first cardigan back in February, my Miette! 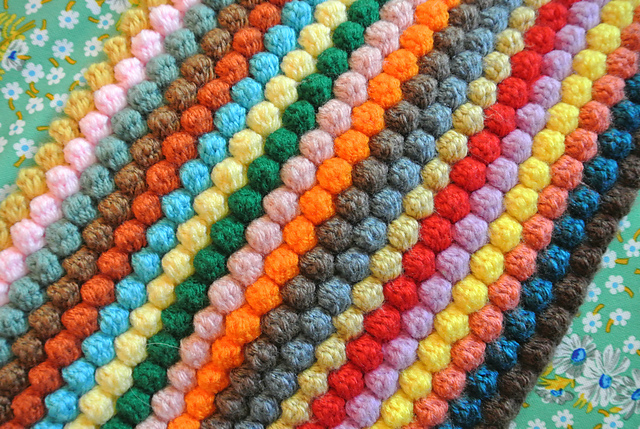 I've discovered Ravelry, which is the ultimate resource for knitters and crocheters. It's free to join Ravelry and you can do all sorts of things with it! I use Ravelry as a giant search engine for patterns, as a community to make friends and share tips, a place to research patterns by looking at other peoples' projects, and somewhere to research yarn. On your profile, you can share photos and notes on your projects, share what yarn you have in your stash, save favourite patterns and projects, and you can have a "queue", which is where you save patterns that you intend to make. Here's a link to my queue so you can see for yourself! So in no particular order, here are the items in my queue! I actually started this one in a black cotton, but the gauge ended up super huge and even when I changed needles and sizes, it was still looking huge so I put it on hold. 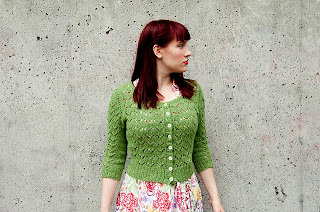 I'd love to make this cardigan in a black with sparkles as embroidery! I need a new black cardigan (as usual) because I wear mine to death and it's holey. Wouldn't this be adorbs? 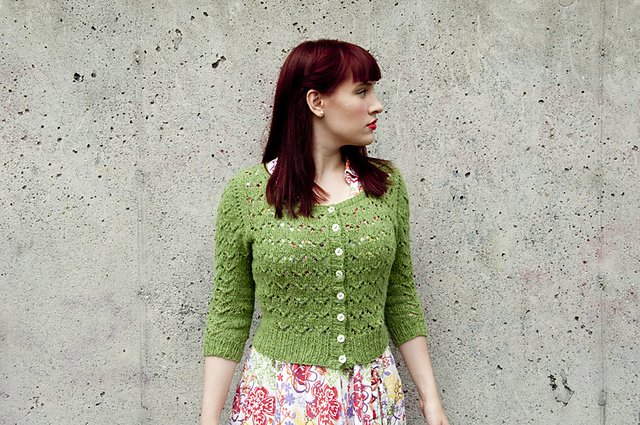 This cardigan is in a book called Modern Knits, Vintage Style, which I bought online recently. This is pretty much the best thing in the book, there are lots of scarves and glove-type things in there too. 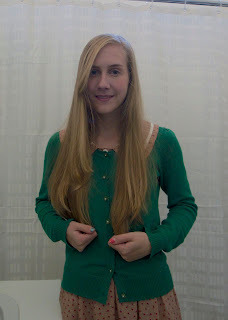 I'm basically only interested in cardigans though :-) There are mixed reviews of this pattern, some people made an amazing garment with no modifications to the pattern and others said that the pattern did not correlate with the pictured cardigan! I'll try my luck! 3. Audrey in Unst cardigan. I had this in my queue, then out, then in again, then out, and finally in again thanks to a post I saw on Lladybird who's finished hers. It looks fantastic! I wasn't sure because of the neckline's unfinished look, but I've changed my mind and it's totally gorge. Too many people have made this recently for me not to try it. This is one my friend Vanessa has done before and I was inspired by hers. 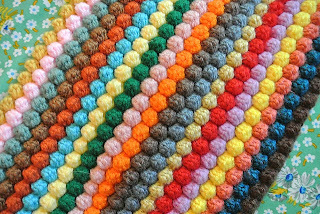 I love the texture of this blanket, all the bobbles would make it so thick and warm! 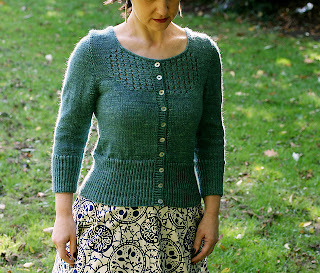 It would be a great project for all that leftover 8 ply yarn from all the knitting! I think it might take forevs though. 5. Owls jumper - as a cardigan. 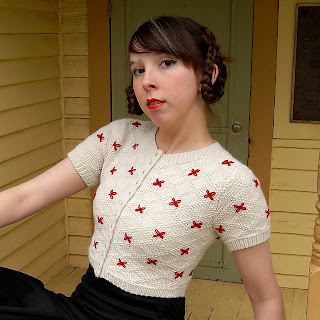 I've already done this as a jumper and it was a WIN, but now I want to do it as a cardigan! 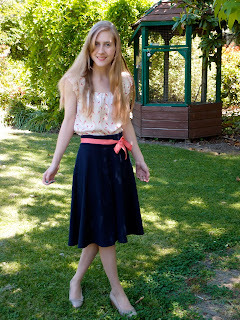 I've seen a couple of people do it as a cardigan and it seems pretty easy to modify. Just add a button band! This person has also put the owls cable design on the sleeves too, such a cute idea! I literally found and bought this pattern last week. I just love the design! So cute! So lacy! 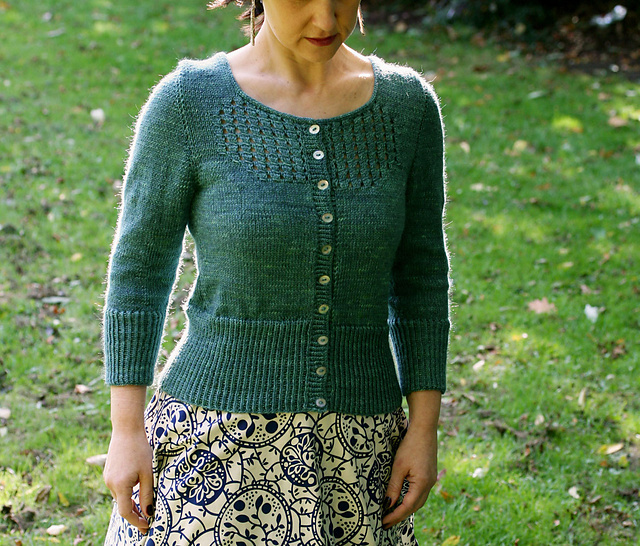 It's by the same designer who did the Miette cardigan I loved so much. All of her things are quite short so would look good with dresses (which i wear 100% of the time). Love her style! I want to make this in a black (it'll get done before my Henrietta cardi), because as I mentioned already, my black cardigan is nearly dead! 6. Doctor Who scarf (for my brother). Today I texted my brother and said "I should knit you something, what would you like?" and he immediately wrote "Dr Who scarf!". My brother grew up with Tom Baker as the doctor, and of course loves his scarf. There's actually a website devoted to the scarf, as it had a slightly different design each season. I'm sure normal viewers wouldn't notice the difference but those 1980s knitters sure did! On the website there are instructions to make each scarf from each season! 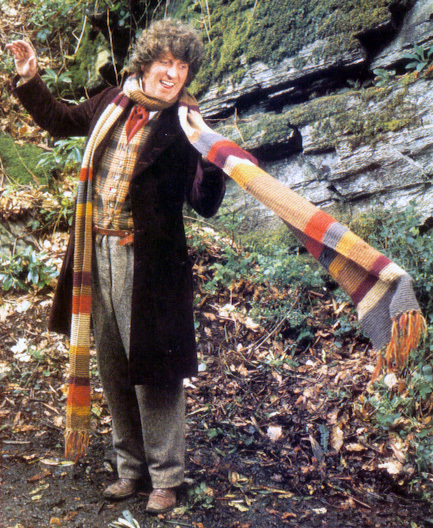 I've settled on the Season 14 scarf because I just like the colour combinations. Like I said, they're not terribly different from each other. I have offered to make Charles a jumper, and I've offered to make my dad a jumper, but they both said no! Imagine that! Charles still has lots of lovely hand knitted jumpers his nana made him, and my dad admitted he doesn't wear knitted jumpers much because they itch. He does sometimes talk about wanting a jumper with a picture of camels on it... we'll see. What's in your queue right now? The bobble blanket did take me quite a long time to finish. I started it at the beginning of October and I finished it a few weeks before Christmas. The good thing about it is that it's a really easy project to leave for a while and come back to it if you get bored. Plus it's brilliant for using up all your stashed yarn!